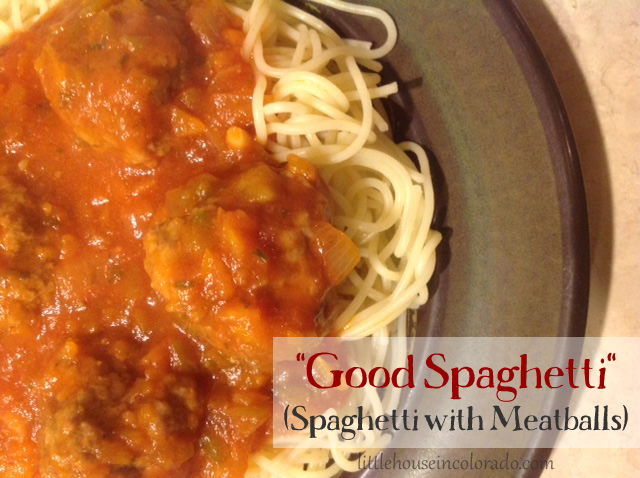 Turns out, this recipe for Good Spaghetti is simply “Spaghetti with Meatballs”. The meatballs are made from scratch and browned before being added to the sauce mixture and allowed to simmer all day. This makes a lot of food so it’s great for big gatherings or for eating some for dinner and freezing half for another meal. 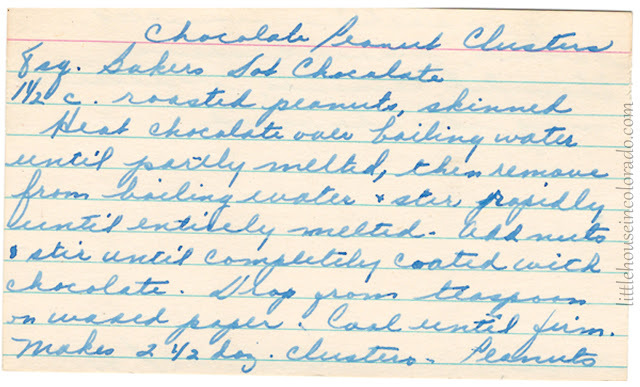 This recipe for Chocolate Peanut Clusters sounds like a great last-minute treat to make for Christmas gift-giving or for your sweetheart on Valentine's Day and anniversaries! It's also easy enough to involve the kids when making goodies for teachers, caretakers or family and friends. Did you know that January is National Organization Month? I know a lot of people will be making New Year's Resolutions and chances are, one of them will be to get more organized. Years ago, I had the wonderful experience of working for a family owned storage and organization company. It was HEAVEN! Containers and organizers galore! While I was there, I learned some valuable tips for organizing every space in your home - from kitchen cabinets that are used every day to old financial documents and file storage that hardly gets seen. My own New Year's Resolution is to work on organizing my time. I have been feeling pulled in so many different directions and in trying to do everything, I wind up doing very little (or just not being as efficient as I could be). So time management is at the top of my priority list. It is said that it takes a MINIMUM of 21 days to form a new habit. If you want to become more organized and make it a habit, you've got to do it for at LEAST 21 days straight. This January, I'll be kicking off the year with a "31 Days To Organization" series. 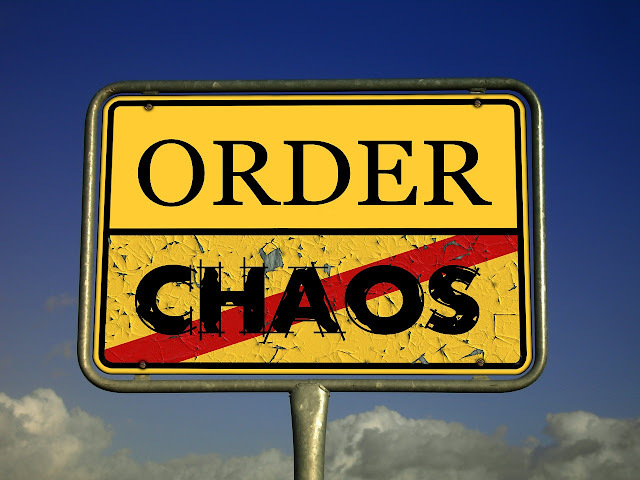 Every day in January, I'll share various tips for getting yourself organized. That is 10 days more than the minimum needed to form a new habit! So whether you are wanting to declutter your work space, simplify your personal space, or manage your time more efficiently, I hope you'll find useful information you can apply to your life. With Christmas upon us, and December being the month for exchanging fruit cakes, I thought I'd offer up a recipe for a different sort of fruitcake. 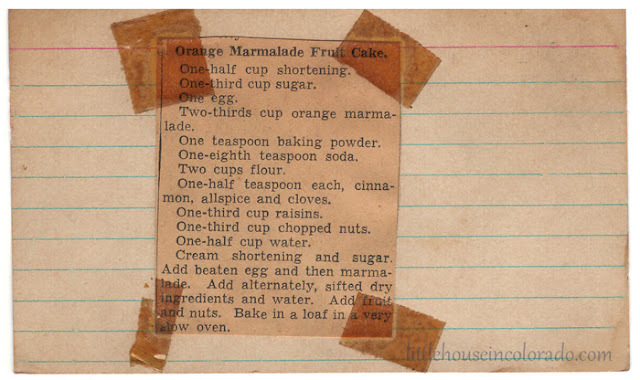 It is called Orange Marmalade Fruit Cake and is estimated to be from the 1950's. It was found in a worn old small red metal recipe box. 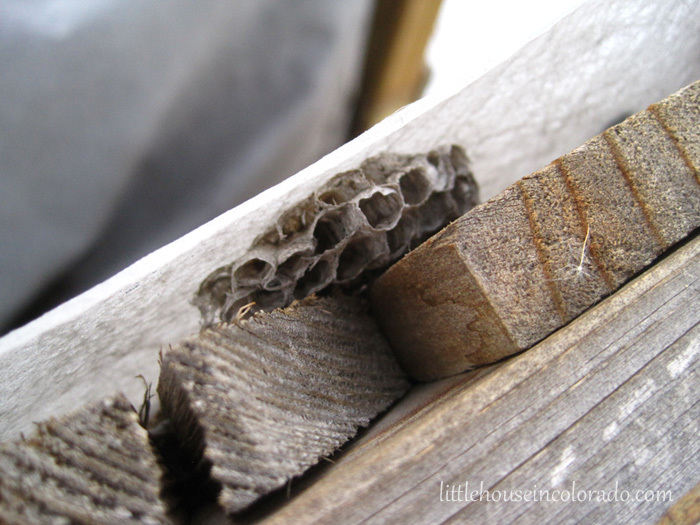 The old newspaper clipping was attached to an index card with clear tape, now yellowed and brittle from age. I don't always have marmalade on hand (though I LOVE marmalade!!! ), but I do usually have some home canned orange jam available. I think this may be a recipe to try soon with my orange jam...and perhaps swap out the raisins for dried cranberries. Yum! Cream shortening and sugar. Add beaten egg and then marmalade. Add alternately, sifted dry ingredients and water. Add fruit and nuts. Bake in a loaf pan in a very slow oven (approximately 250°F). Original recipe not dated but estimated to be from 1930s - 1950s. Did not have baking time. A "very slow oven" refers to an oven that is approximately 250°F. WHAT TEMPERATURE IS A “MODERATE OVEN”? Many older recipes don’t give an exact oven temperature for baking food. Most commonly, I see recipes calling for baking “in a moderate oven”. But recipes may also ask for a “hot oven” or a “slow oven”. Well, that seems a bit vague, especially in a time when we’re wanting exact measurements and specifications for everything. So what do you do when you encounter a temperature term like this in an older recipe? AS WE UNDERSTAND THEM NOW? Not to worry! 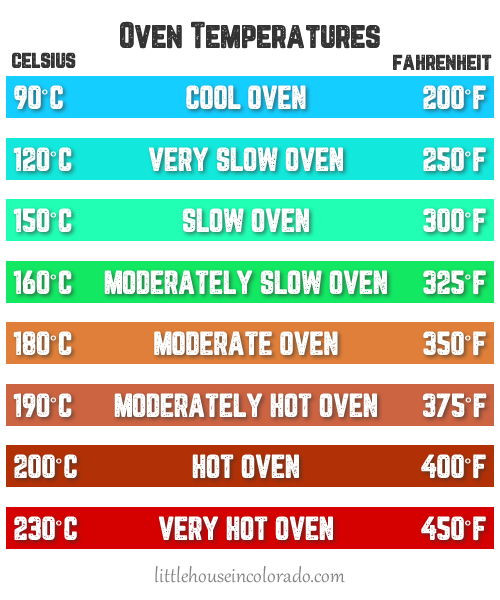 Although you will find variations in different publications, the following chart breaks it down for you…from the “Cool Oven” at 200˚F, to the “Moderate Oven” at 350˚F, on up to the “Very Hot Oven” at 450˚F. Both Fahrenheit and the approximate corresponding Celsius temperatures are also included. Most of the time you will probably just encounter the “moderate oven” but just in case… Be sure to pin this for fast and easy reference later when you come across another vague recipe! Our HOA has a community garden. The neighborhood is made up of a bunch of townhomes, most with very small backyards. A community garden seemed like an wish come true and I was thrilled when Mr. LH discovered it while looking at an aerial view of the area. We decided to investigate and what we found was pretty disappointing. I have no idea how long it had been since the garden was used but it was in really sad shape. However, the potential for the space was clearly there. And even after years of obvious neglect, one of the planting beds had a fabulous patch of wild spearmint growing in it (the spearmint had died back by the time these pictures were taken). 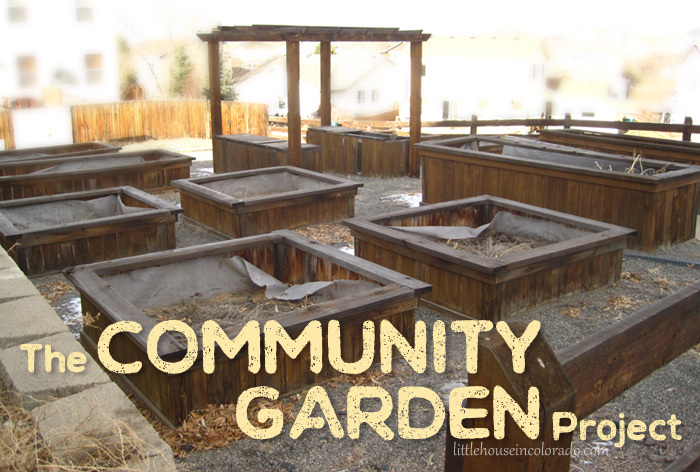 Finding out any information on the garden's history and the HOA's plans for it (if there were any) was difficult and frustrating and I resigned myself to not being able to use the community garden area in my planting efforts. 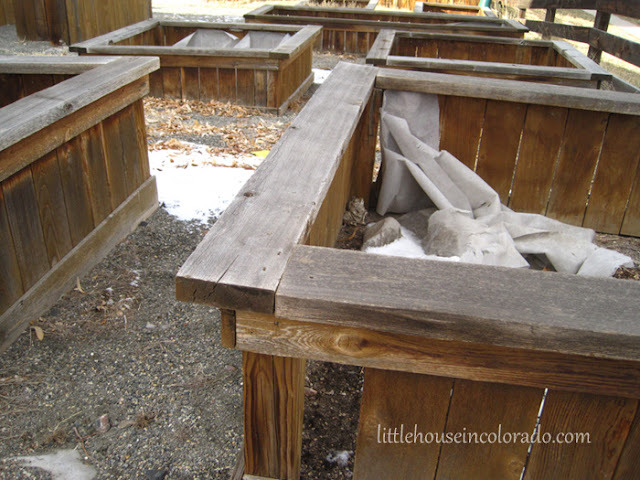 During the latest HOA meeting this past week, the garden area was brought up for discussion. A bordering neighbor expressed concerns about its disrepair and possible safety issues with curious young children nearby. 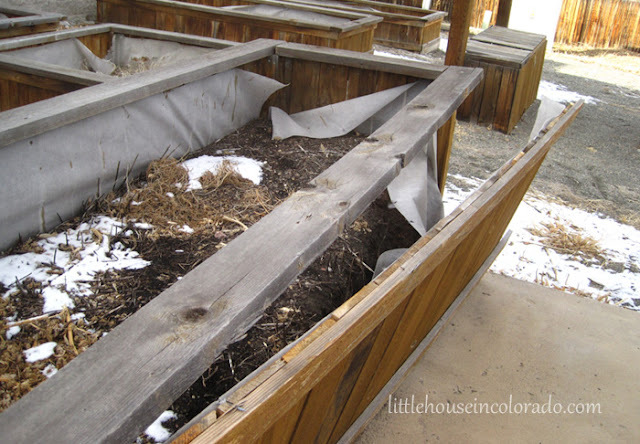 It needed to be cleaned up and repaired or the space needed to be turned into something else. Lots of these hiding out everywhere. 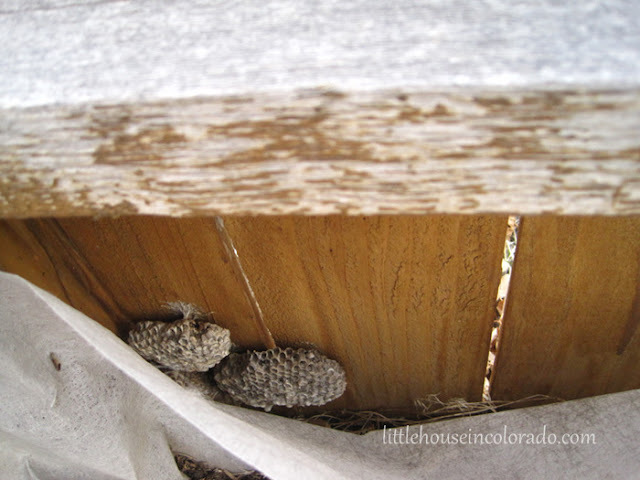 Better get rid of them while the weather is cold! Reviving our neighborhood community garden seemed like an exciting opportunity for me to gain planting space, improve the neighborhood and make new friends at the same time so I contacted the property management company the following day. It was suggested I prepare a proposal for the next HOA board meeting next month outlining plans and possible costs to the HOA, so I've been gathering information and putting together a group of interested neighbors willing to help. Hopefully, if the proposal goes well, this is where I'll be spending a lot of my time between snow storms this winter...working side by side with other determined neighbors to restore this to a useful and beautiful place where we can all play in the dirt.